LONDON -- UK production fell 4.1 percent in September, the fifth monthly drop this year, burdened by increasing concerns over Brexit's impact on consumers and manufacturers. The decline pushed monthly production down to 153,224 cars. Through September, UK plants built 1.26 million vehicles, a rise of 2.2 percent. 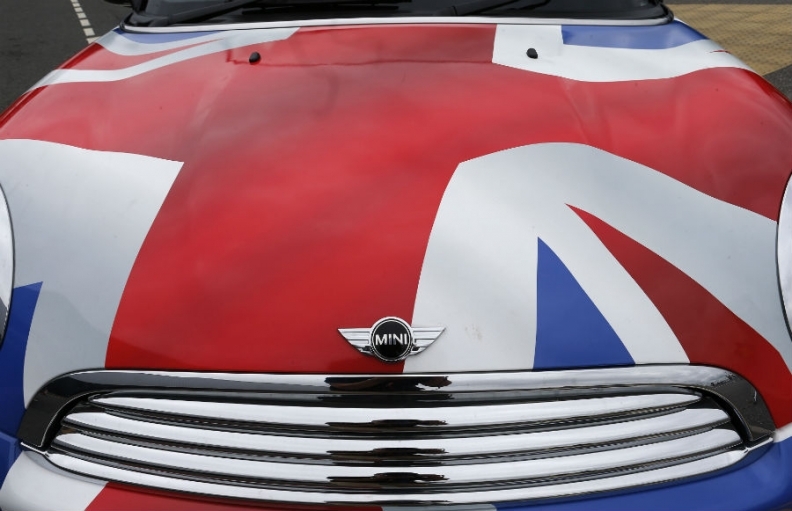 The lack of progress in negotiations over the UK's pending exit from the European Union is raising alarm in the auto industry, which is dependent on parts from suppliers on the continent. "Brexit is the greatest challenge of our times, and yet we still don't have any clarity on what our future relationship with our biggest trading partner will look like," Mike Hawes, SMMT CEO, said in a statement. "Leaving the EU with no deal would be the worst outcome for our sector." Ministers have promised to protect the auto sector and secure trade that is as frictionless as possible with the EU. Brexit supporters say European nations would not want their cars to face tariffs entering the continent's second-biggest market. Consumer confidence remains lower than before Prime Minister Theresa May lost her parliamentary majority during a June snap election and has fallen since Britain voted to leave the EU last year, although it has inched up in recent months. British new-car sales are expected to fall this year by about 4 percent from 2016's record 2.69 million vehicles, also hit by uncertainty over whether the government will introduce a diesel scrappage scheme or new taxes on the most polluting cars. "It's clear that declining consumer and business confidence is affecting domestic demand and hence production volumes," Hawes said. "Uncertainty regarding the national air quality plans also didn’t help the domestic market for diesel cars," he said. Toyota, which built one in ten of Britain's 1.7 million cars last year, said on Wednesday it needed clarity on the terms of Britain's post-Brexit access to EU markets to safeguard production at its plant in Burnaston, England. PSA Group has said it will cut just under a quarter of the workforce at its Ellesmere Port car plant in Britain and warned the site needed to improve its performance to protect its future. Earlier this month, the SMMT said UK new-car registrations fell 9.3 percent in September, a key month of the year that normally accounts for up to 20 percent of annual demand, making it highly likely that sales this year will be fall for the first time since 2011.